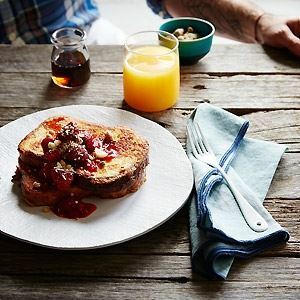 "I’d recommend you start this recipe the day before, so your crumble and strawberries are ready to go, and all that needs to be done in the morning is to cook the French toast. At the café we often serve this with ice cream, even for breakfast, so look for the best vanilla ice cream you can find or have a go at making some yourself (below). 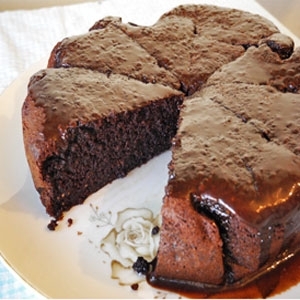 Alternatively, serve with vanilla yoghurt or mascarpone." ~ Stuart McKenzie. Preheat the oven to 180°C (350°F). Put the flour and sugar in a bowl and stir to combine. Add the butter and use your fingertips to rub the butter into the flour mixture. Stir in the coconut and macadamias. Spread on a baking tray and bake for 20 minutes, or until the crumble is golden and crisp. Remove from the oven and allow to cool. The crumble can be stored in an airtight container for up to 1 week. Put the sugar, balsamic vinegar and 2 tablespoons cold water in a small saucepan. Stir over low heat until the sugar has dissolved. Add the strawberries and increase the heat to high. Bring to the boil and cook for 3 minutes. Set aside to cool, then refrigerate until needed. Whisk together the eggs, milk and cream in a wide bowl. Melt half the butter in a large non-stick frying pan over medium heat. Dip four slices of bread, one at a time, in the egg mixture until soaked, then drain off the excess. Fry the bread for 2 minutes on each side, or until golden brown. Remove from the pan and keep warm while you cook the remainder of the slices. Serve topped with the strawberries and crumble. Pour the cream and milk into a medium heavy-based saucepan. Add half the sugar. Slit the vanilla bean down its length with a small sharp knife. Use the knife to scrape out as many of the tiny black seeds as you can into the cream mixture. Cut the vanilla bean into three pieces and drop it into the pan. Heat the cream and milk over low heat, stirring occasionally, until it almost boils. Take the pan off the heat and set aside so the vanilla can infuse. Meanwhile, using an electric mixer, whisk together the egg yolks and the remaining sugar until pale, thickened and the volume has increased. Add the cream mixture and beat until well combined. Return the mixture to the pan and cook over low heat, stirring constantly until the custard is thick enough to coat the back of the spoon. Be careful that it doesn’t boil. As soon as you see any bubbles about to burst to the surface, the custard should be thick enough; take the saucepan off the heat so the mixture doesn’t curdle. Remove and discard the pieces of vanilla bean. Allow the custard to cool completely before churning in an ice-cream machine following the manufacturer’s instructions. Transfer to a container and freeze for 4 hours, or until firm. About 20 minutes before serving, transfer the ice cream to the fridge to soften slightly. If freezing overnight, wrap the ice cream container in a double layer of plastic wrap. This will prevent ice crystals from forming. 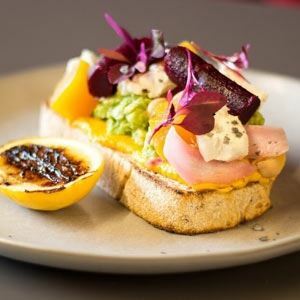 Credits: Recipe and Image from All Day Café by Stuart McKenzie (Murdoch Books). 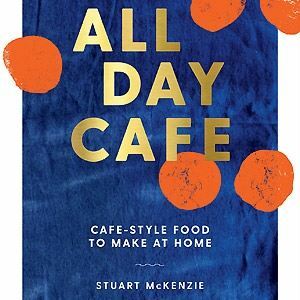 Photo Credits: Recipe and Image from All Day Café by Stuart McKenzie (Murdoch Books). 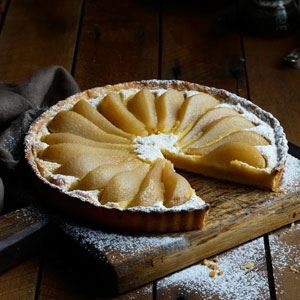 Sweet pears, fragrant spices and crisp pastry make for a heavenly dessert.